They say to take five days to do the trail. Wow, was it cold this morning? I should have known as last night, after coming home from the pub, I sat for a while in the most complete darkness to look at the ski. Aside from the fact I don’t think I’ve ever seen so many stars in all my life, there were no clouds. 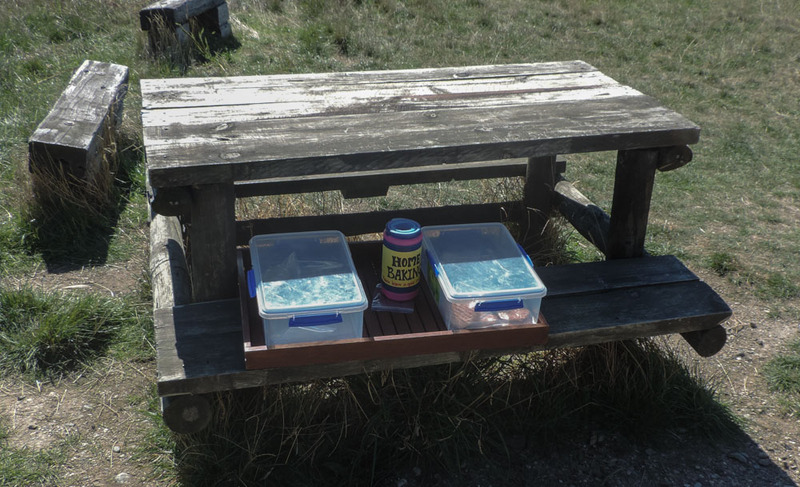 Being this far south, this far into summer, only another six days to go to the start of autumn, and in an area renown for low temperatures and sitting under a cloudless sky was a sure clue to what was to come. I waited for the sun to come up before sticking my nose out of the tent and then I packed up and got ready to leave. 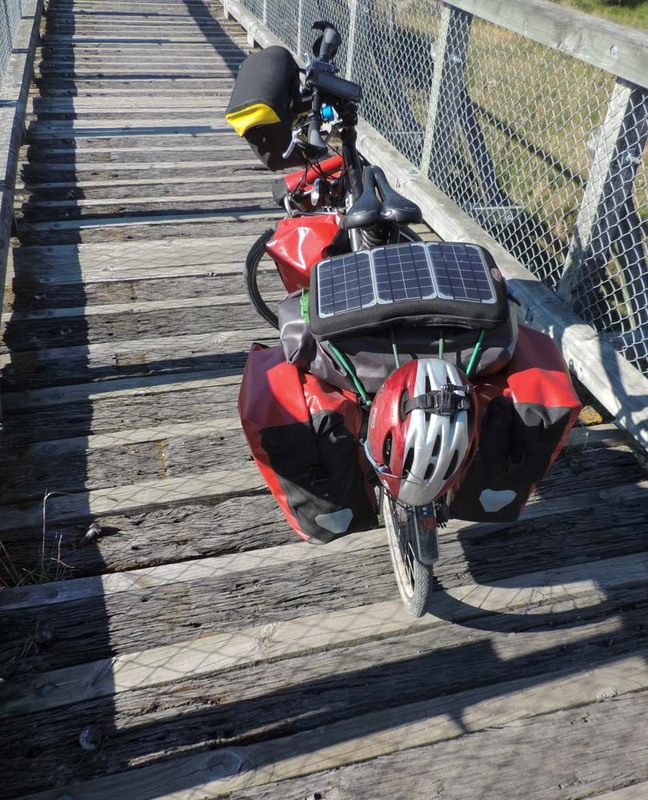 It is at this point that I discovered I had lost a screw in my front rack and one of the panniers was going to really struggle to stay on. 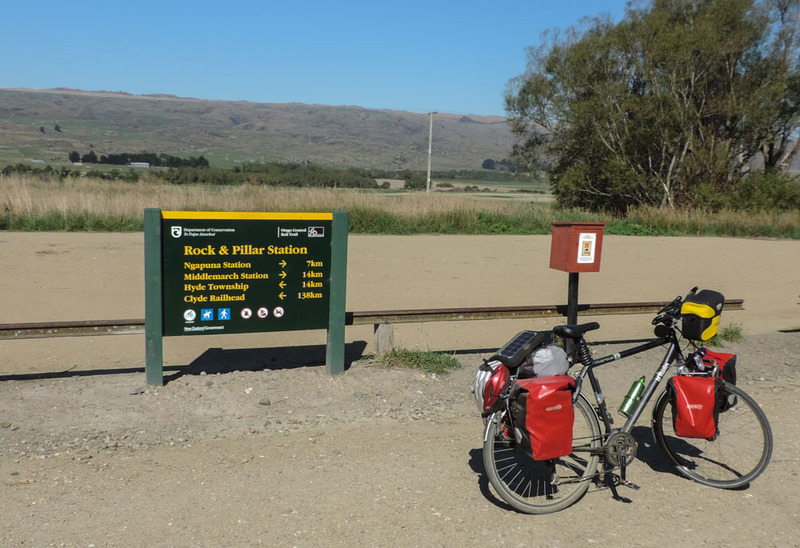 I distributed the heavy load of that pannier in the other three and applied a generous dose of gaffer tape to the problem spot, it seems to be holding but it will call for a visit to the workshop in Dunedin. This upsetting incident was enough to throw me off balance and when I eventually left I did not realise that I had put my one and only fleece on a chair and there it staid. This is something I will come to regret tonight when the temperature drops and I cannot reach for it. 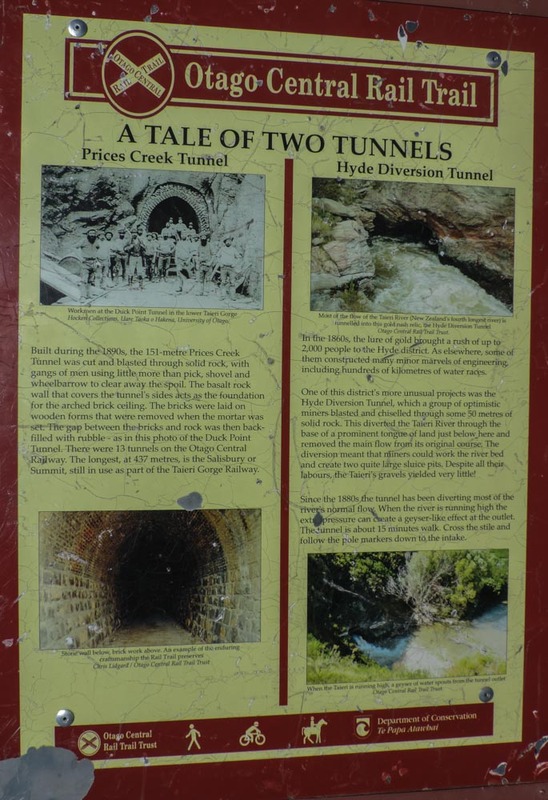 The information provided is a lot, it would probably take 5 days if you had to read all that is written on the trail. So after all these events it was go go go. I was late so I picked up the pace as much as I could. Sometimes is sufficient to stop and watch. 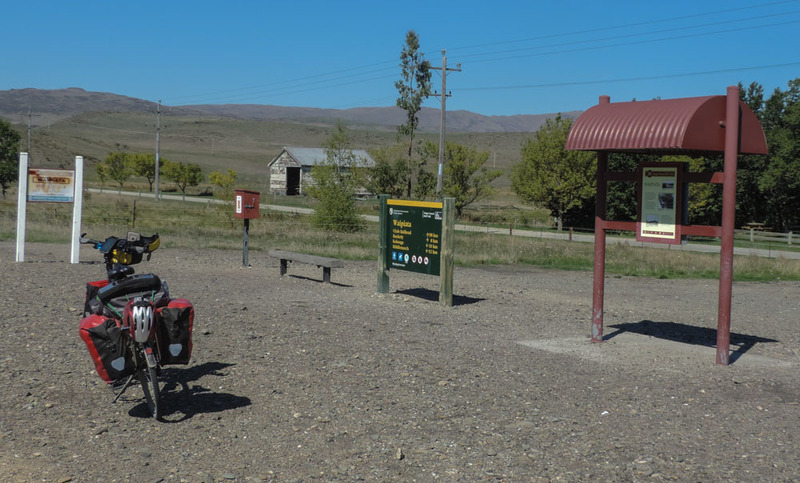 Most of the stations on this part of the trail were really stock loading stations, there was little or no houses around them. The surface was also rougher and riding was a bit more difficult. The bridges also did not improve from yesterday, Below is a picture showing the filling in job I was referring to. No point in having a conversation while crossing this bridge. 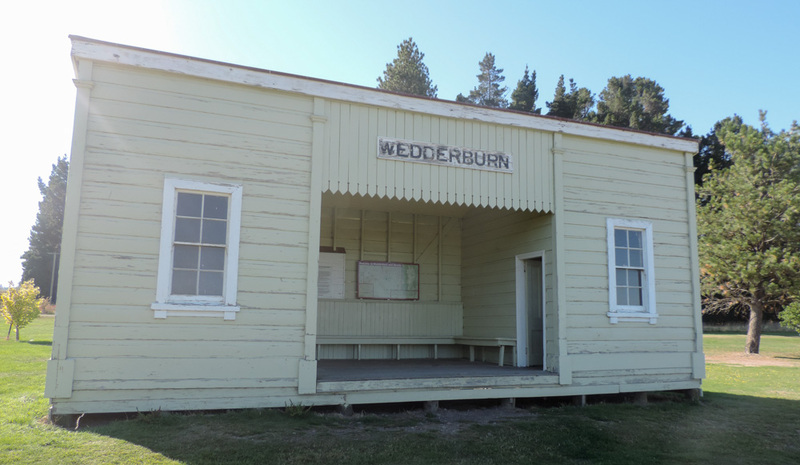 Also some stations still have the station building and from the size and shape you get an idea of how busy the line might have been. Absolutely no houses around this one. But as always kiwi are good at making something out of nothing. 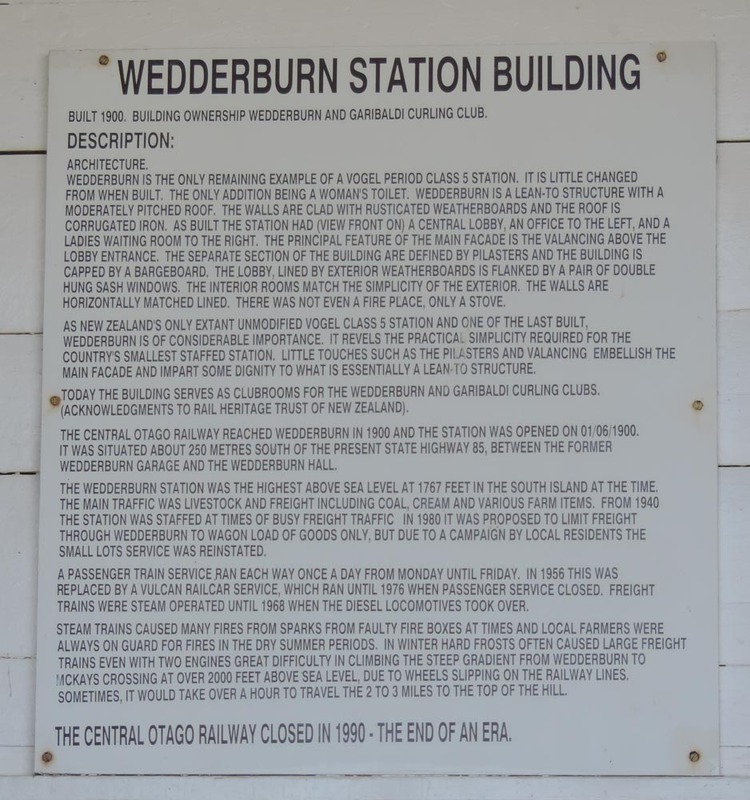 I got to Ranfurly in a bit more than an hour, This was athird of the way and, on paper, the difficult bit. It was 12:25 so I decided to stop for Brunch. I had a full English Breakfast which was, as you’d expect, really good. In the table next to me there was a group of cyclist that got their bikes from Trail Journeys. They finished before I even got my stuff and left. I found them 10 miles down-trail stopped again at another eatery. 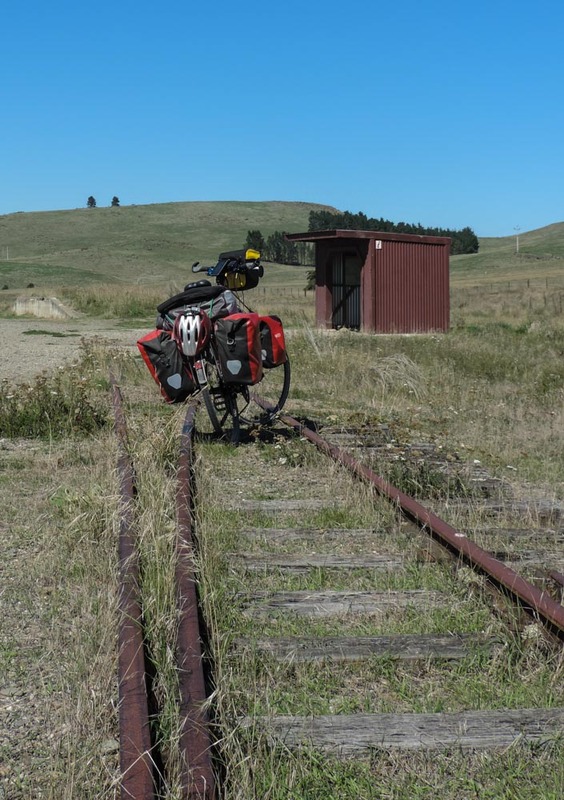 I guess that is another way to take five days to complete the trail. 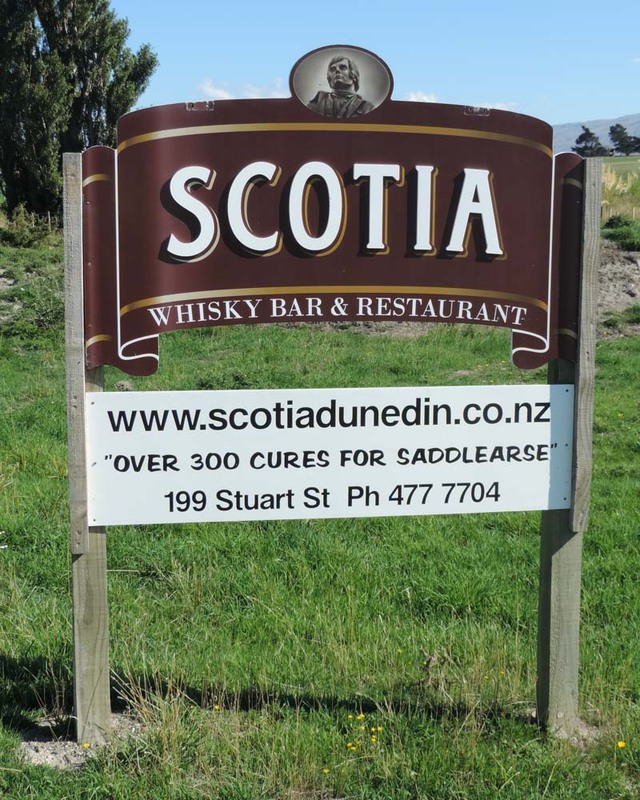 While I was eating a car parked and I could not resist the hurge to take a picture of the reg (below), there is something homely about New Zealand. 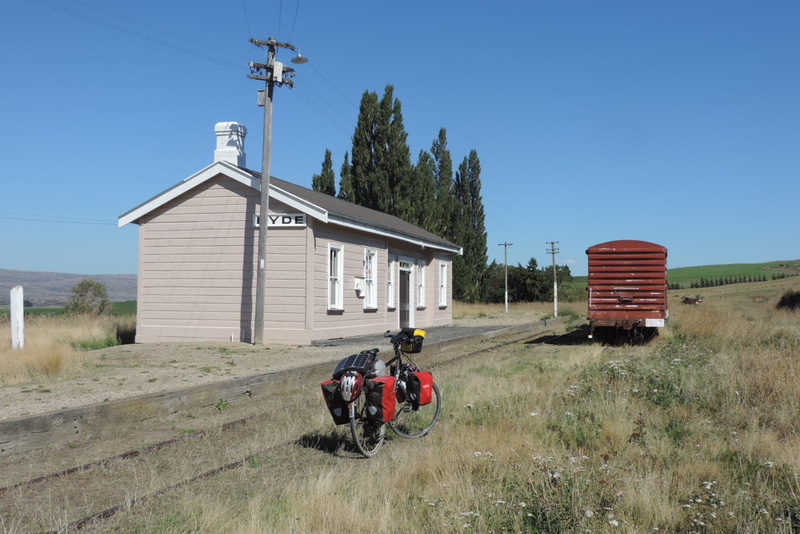 Other travellers coming through Ranfurly station. 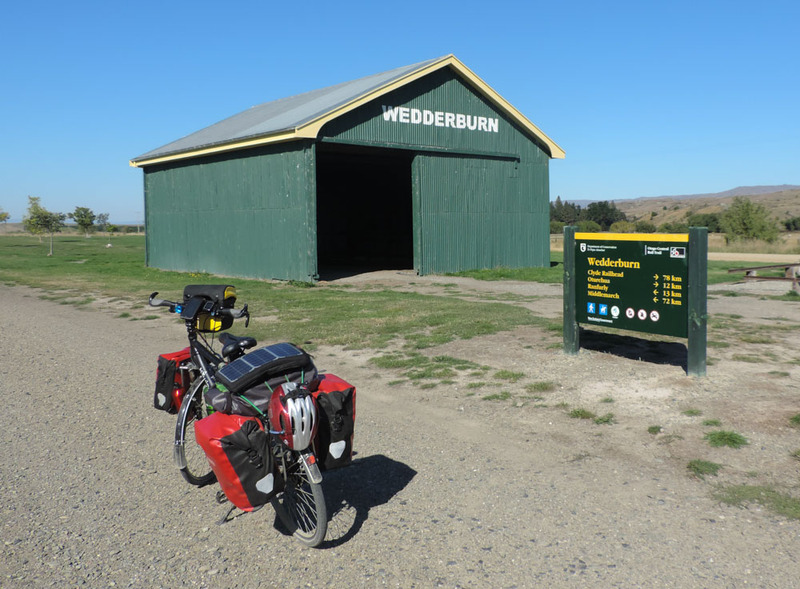 The road after Ranfurly changes a bit and it becomes easy to ride, there is even an imaginatively named straight. 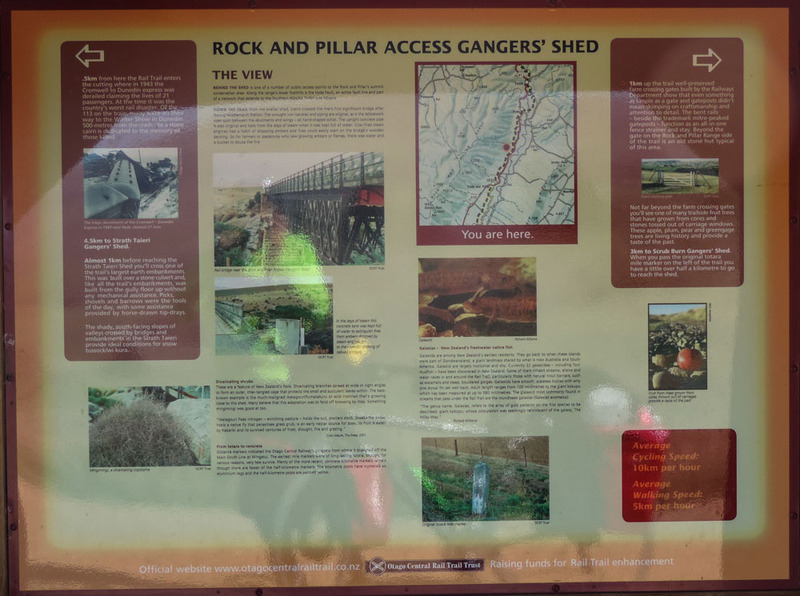 Another of the 12 Gangers’ sheds that are to be found on the trail. 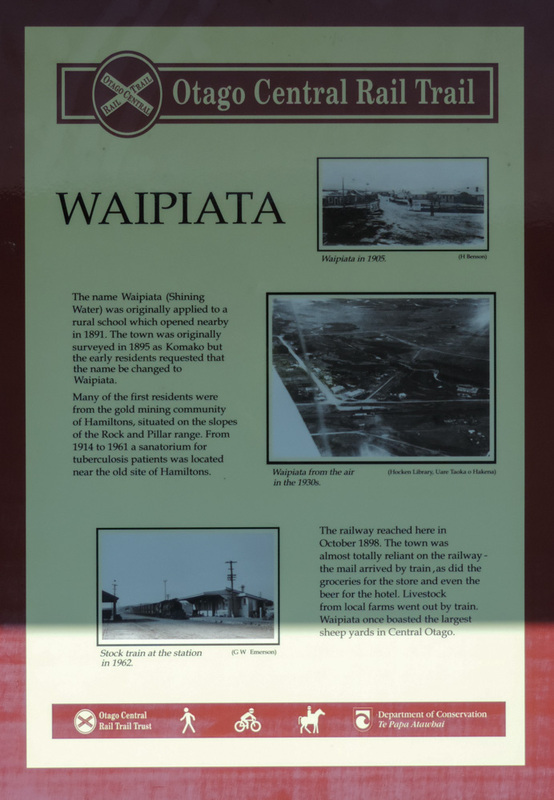 Waipiata was all the way my fellow travelers made before needing more food and drinks. I took some pictures, looked at them with disdain and carried on. 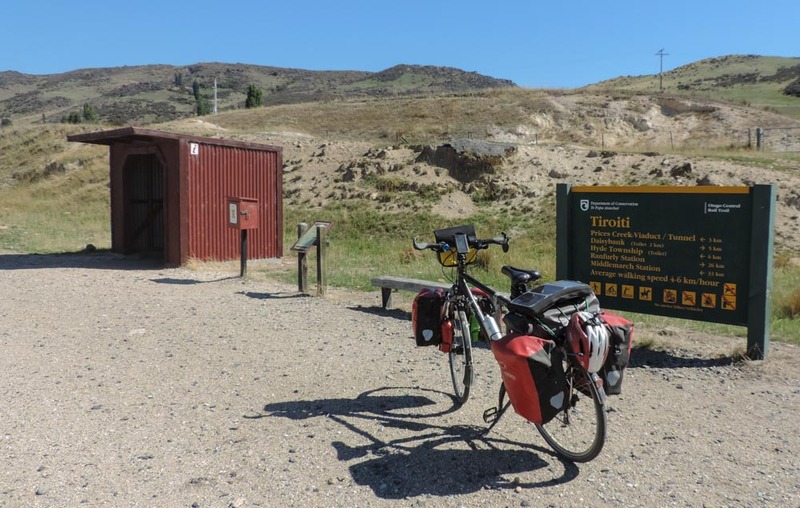 On a general point this trail is better suited to mountain bikes. While my hybrid is managing I, without any hint of false modesty, need to add that it’s just due to my exceptional riding skills. Some stations have better views than other. I came across a little stop on the side of the trail that was made out of old railways sleepers. 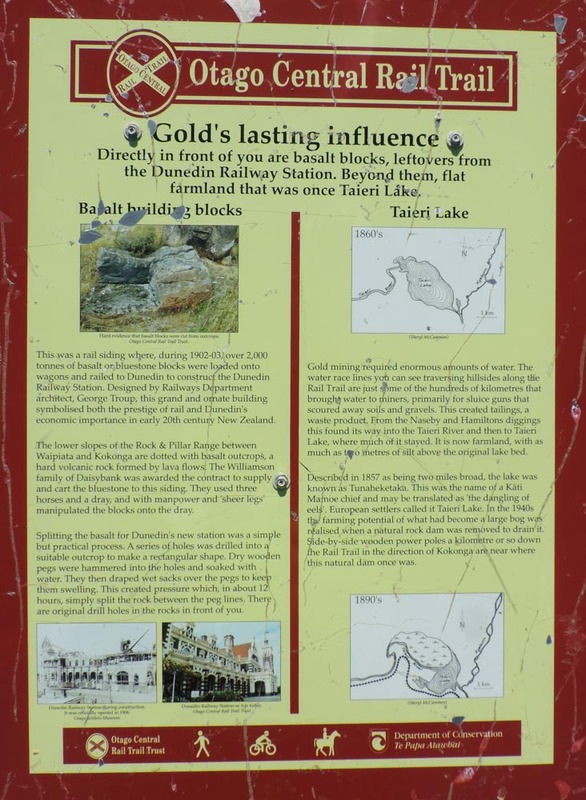 Those who developed the trail created it to add the gold information plaque as well as offering a place to stop. The local farmers however thought there was a business opportunity. Moving along the trail there actually are some bits where the rails have been left, no use to anyone but they make good picture opportunities. Station and Gangers’ shed all in one. 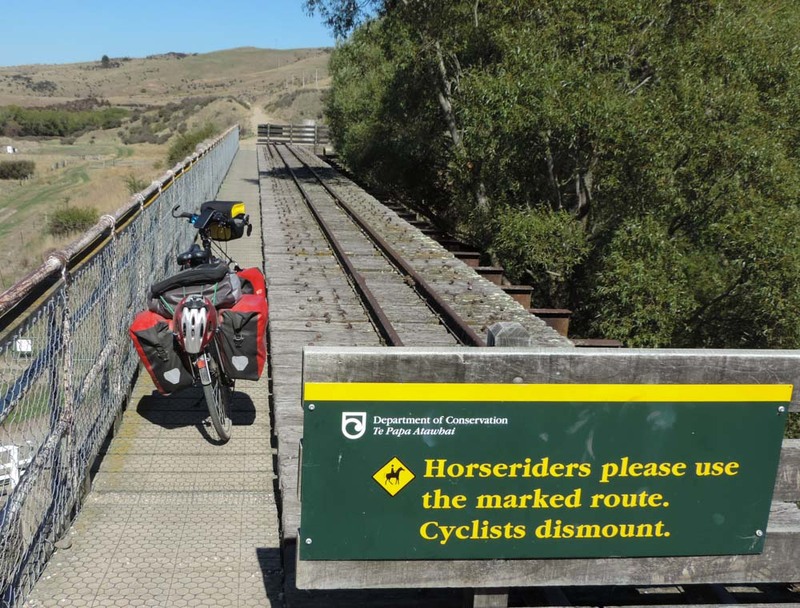 Rails are actually off the trails so no H&S issues. 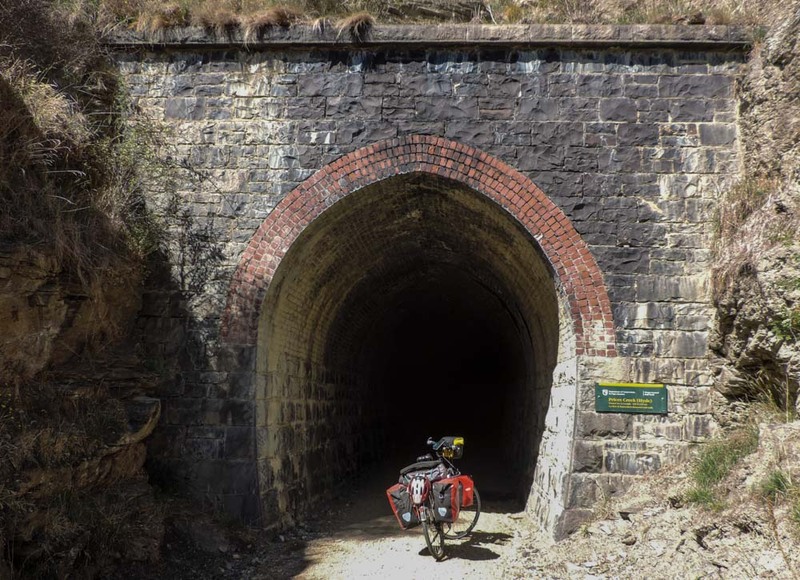 I don’t want to say that this part of the trail is boring but it is certainly a bit flat compared to the exciting bits with bridges and tunnels. The trail is, in the main, the domain of cyclists, on the other hand there are people that walk it and there are people that ride it. All along it there is a precise etiquette that has to be followed by each category of trail users. EvenI I had to dismount this time. 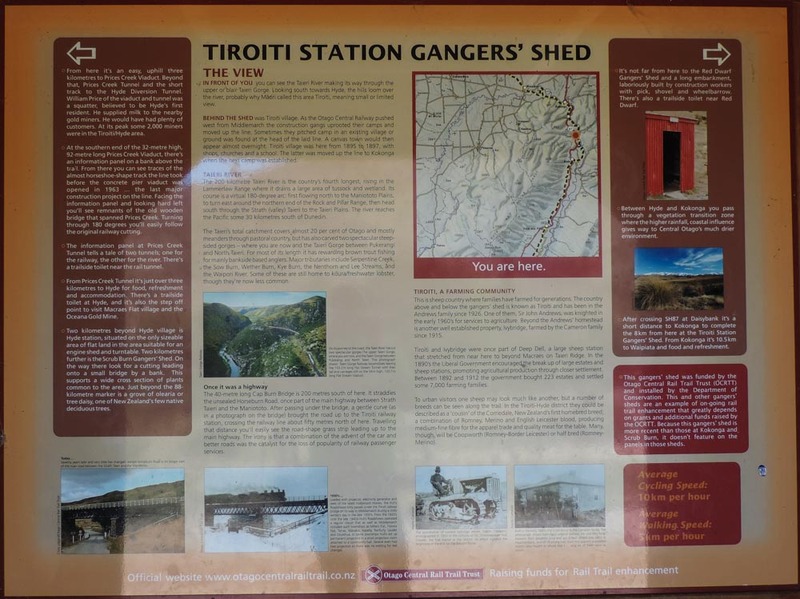 The part of the trail between Tiroiti station and Hyde is definitely the most dramatic of the day. 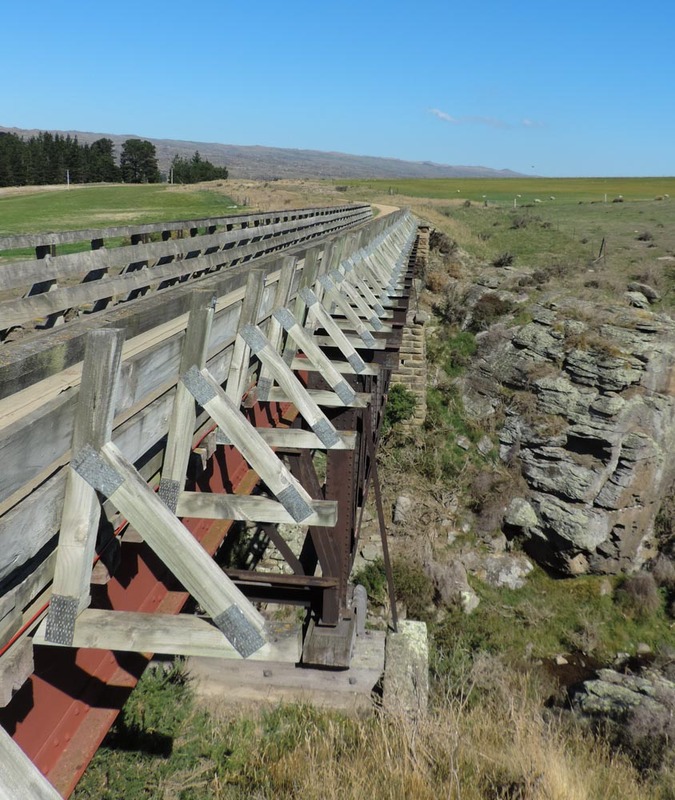 It opens with a steady ascent in the Taieri river gorge and then culminates with both a tunnel an a tall bridge. Had to climb on the side of the mountain to take this picture all the way hoping that nobody was coming through as this is very verboten. 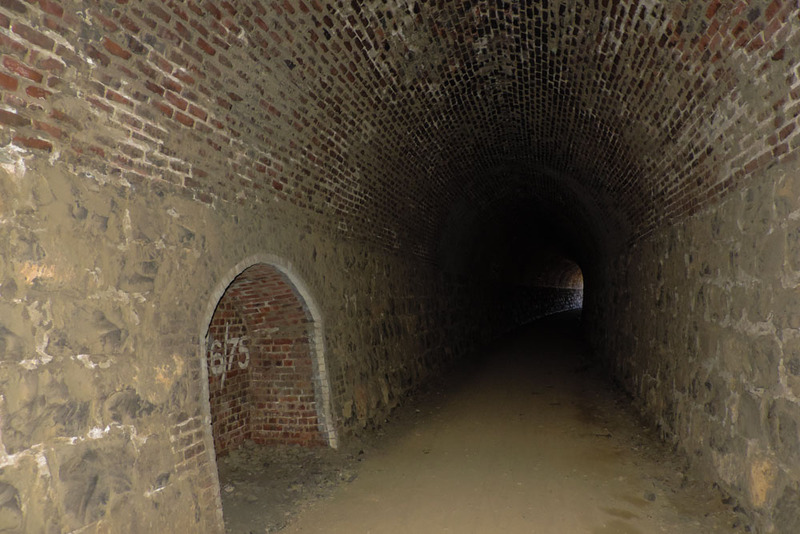 I filmed the tunnels yesterday so I tried with the camera today to give an idea of what they are like. 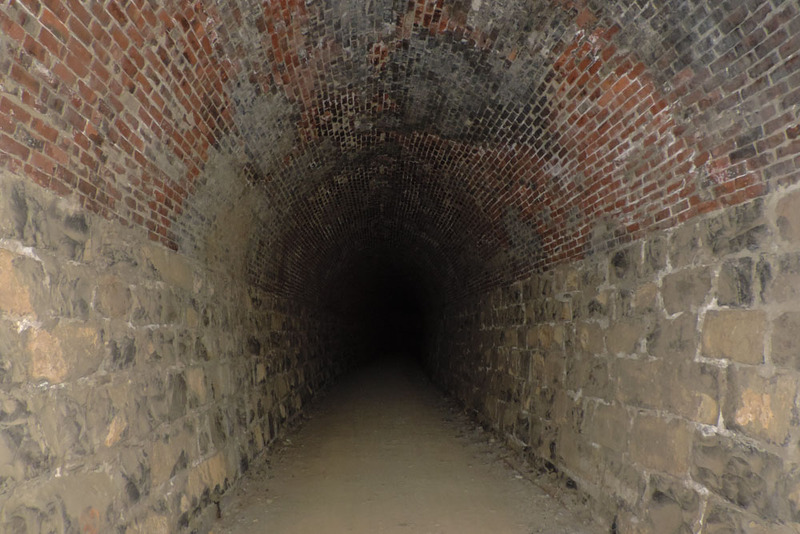 Flash conceals the darkness in the tunnel. Hyde threw me a bit as the information sign is by the Hotel, an obvious marketing ploy to get people to stop there, rather than at the station where there is nothing but a for sale sign. Across the road there would have been beer but I resisted. 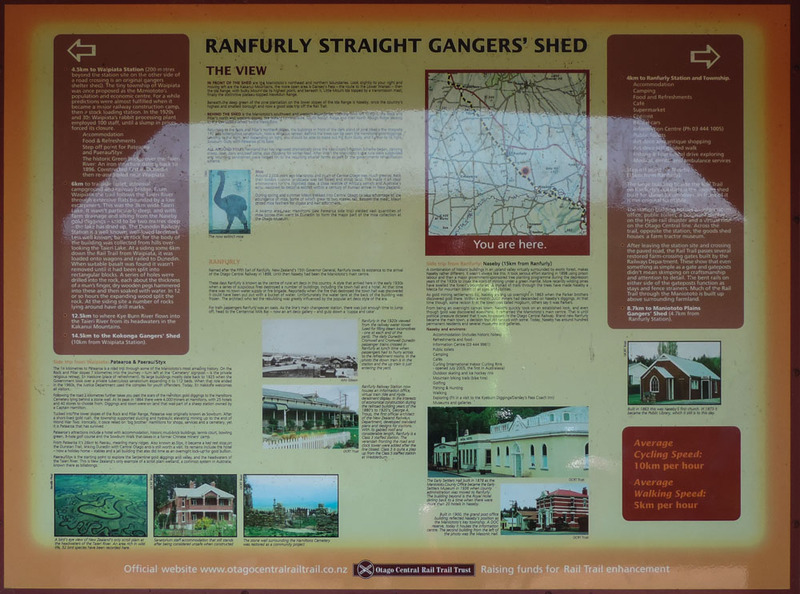 Fancy peace and quiet and that station that always eluded you on the Monopoly board? 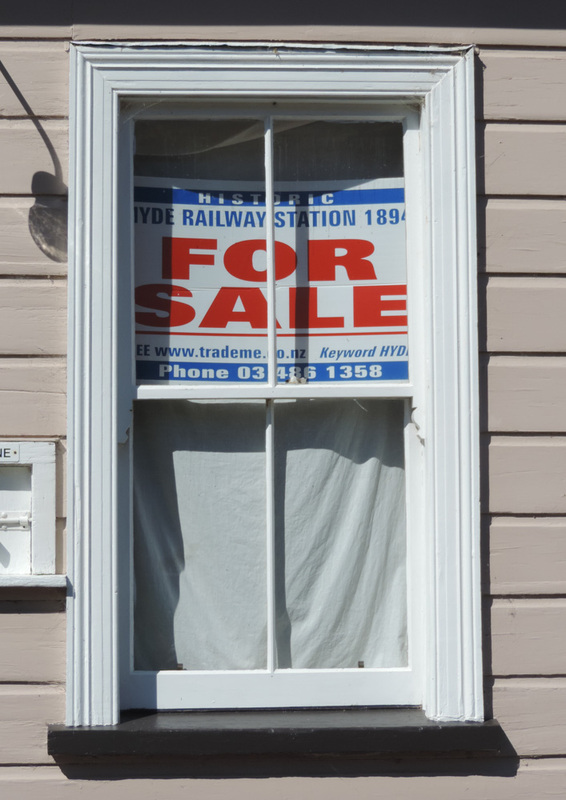 New to you, well loved property with interesting and active people passing by regularly. It was not getting later in the day and I was eager to arrive. The trail in its final 20 miles is really well paved and I was keeping a steady rate of 17/18 MpH. I seemed to got into a pattern of overtaking and being overtaken by this other chap, perhaps we were just taking pictures of different things. 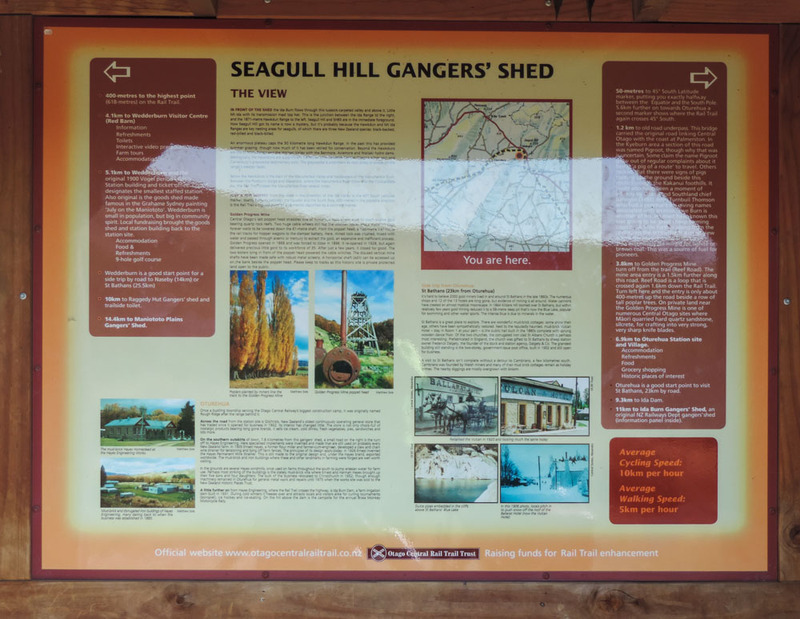 Last info board of the day. One of these pictures was this amazing bridge, again I had to do a bit of up-sailing to go and get the best shot position. Over a fence, under a tree and past 3 boulders. And this gives a vague idea of the chasm. Only 4 miles from here, almost done. Second last station of the day. I just had to stop and take a picture of this, just too good not to. Even the humour they took with them when they came. More days than not I end up with saddlearse, maybe I should carry medication for it. Finito! 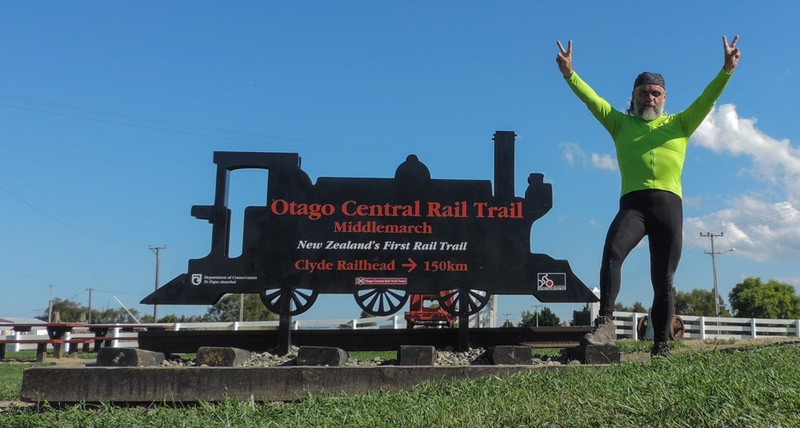 150 Km of Otago Central Rail Trail completed. It was fun and a bit different. What you don’t see is, 2 minnutes later, me kissing the tarmac that will take me to the camping for the night. Dirt is good but tarmac is better.